Columbia River Non-Reflective Black Elishewitz Tao Pen | BUDK.com - Knives & Swords At The Lowest Prices! 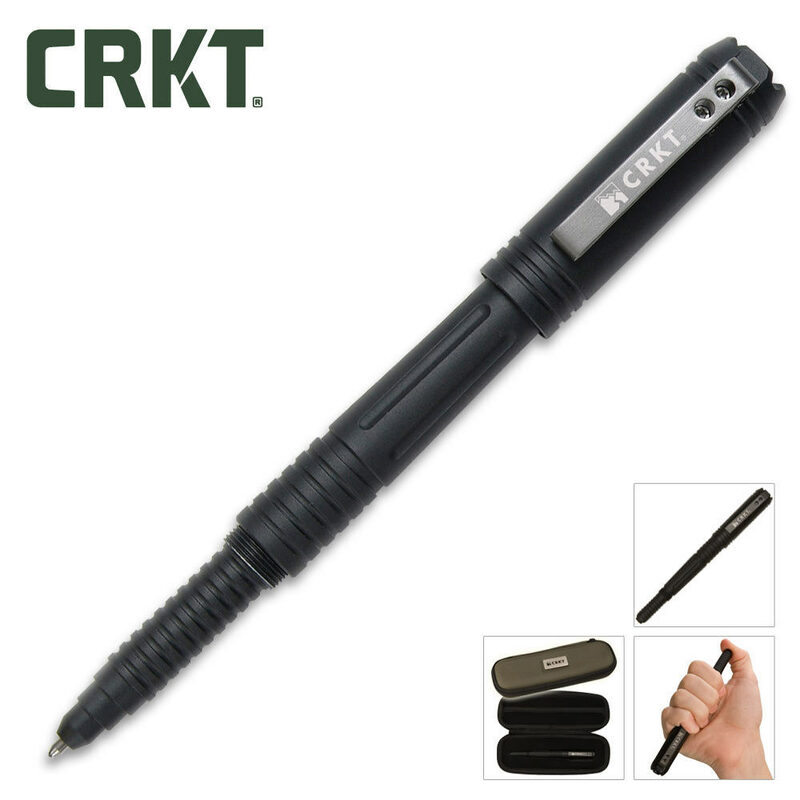 This CRKT Tao Pen is made of 6061 aluminum, precision-machined and hard anodized. The heavy cap is threaded so that it will not pull off in use, and castellated for greater impact. The flutes and grooves on the pen, combined with the pewter-toned stainless steel pocket clip, provide a secure grip. It has a tungsten carbide ballpoint and thixotropic ink, which will write, in freezing cold, boiling heat, underwater and at any angle--even upside down. Measures 5 3/4" in length and weighs 1.7 oz. (Black with bright grooves).